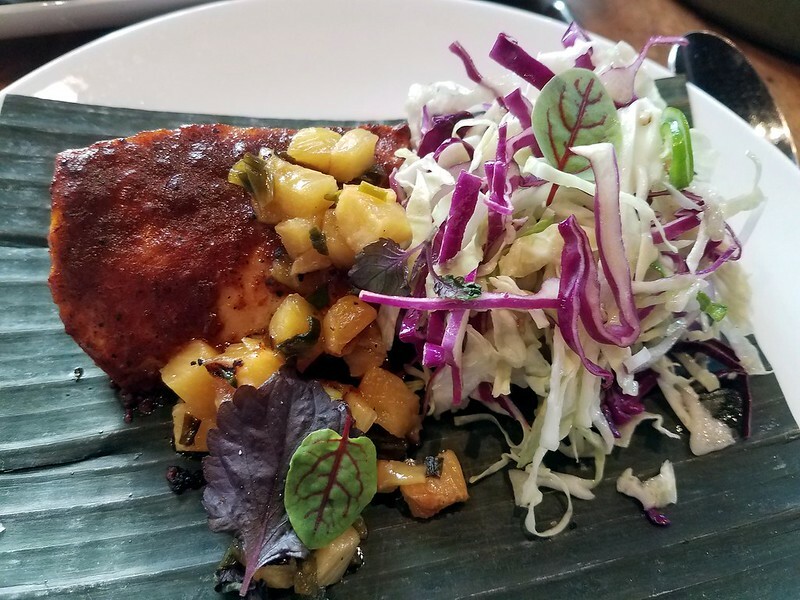 I'm happy to report that I got to try Rick Bayless's new West Loop restaurant Leña Brava last night. 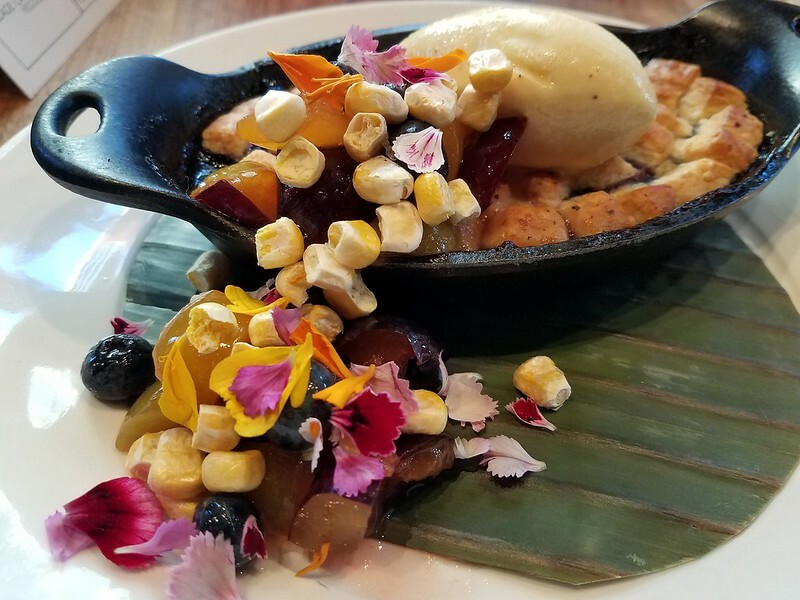 If anyone is unfamiliar, the concept is based on his passion for the eclectic food culture in Baja California, Mexico, and features a kitchen where all cooking is done via live wood fires -- they don't even have a gas line hookup. It's adjacent/connected with Rick's new brewery/taqueria concept Cruz Blanca, which we peeked in but didn't have a chance to experience (seems worthy of its own thread, anyway). Apologies for lack of pictures, but I'll try to provide a rundown of our experience. We were seated on the 2nd floor so weren't treated to views of the kitchen flames all night, but the restaurant had a somewhat restrained, modern design with large windows facing Randolph street. 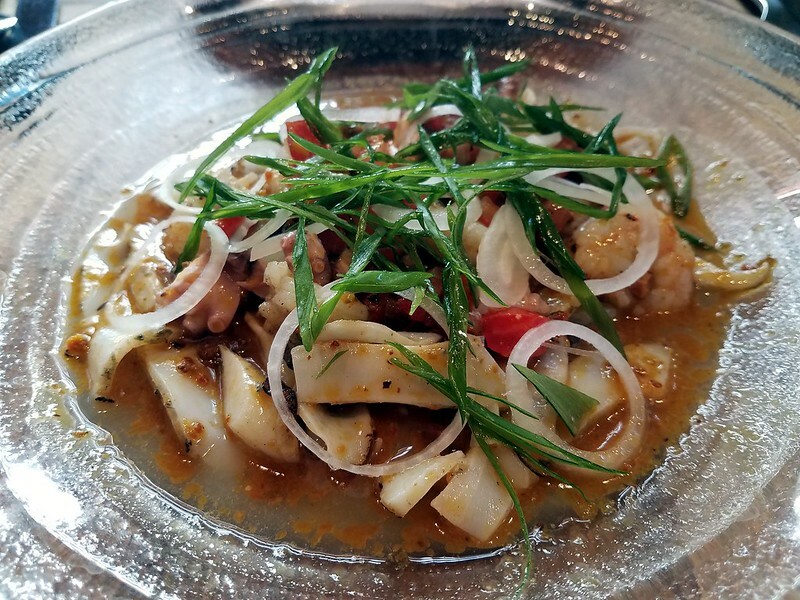 There's certainly an energy about the place (and fairly loud, propulsive music), but unlike some of the early reviews I've seen, I didn't have a hard time conversing with my dinner companions at our four-top. The drinks were fantastic -- our friendly, enthusiastic server explained that they have over 110 different mezcal varieties (most in the USA), and the cocktail list also heavily featured mezcal. I tried two of these; my favorite cocktail was the Montemontero which featured Creme de Cassis, rosemary, black pepper and lime. Really nicely blended smoky, bright, and herbaceous flavors. Interestingly, they are only serving one beer from Cruz Blanca at the moment, due to the challenges of brewing enough to accommodate the needs of both restaurants. But to me, the Tocayo (hominy witbier) was a real winner -- full-bodied, well balanced and complementary to most menu items. Hope to return again (or to Cruz Blanca) to try some of their other brews. As for the food, the menu is divided into "Ice" (cold preparations, mainly seafood) and "Fire" (warm/hot). 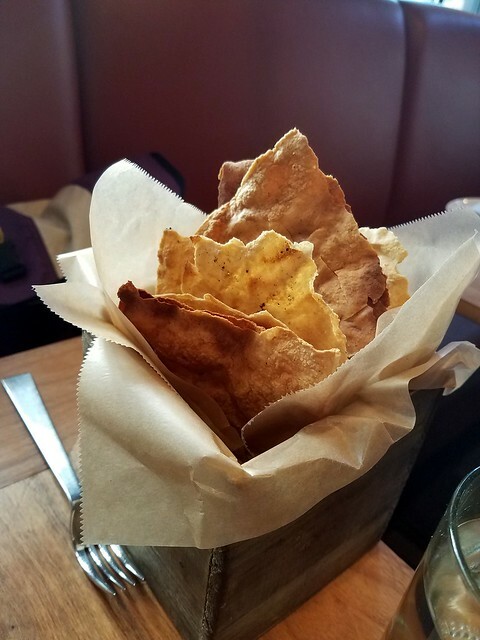 No chips and salsa available, which was interesting from a Bayless joint, but since they aren't deep-frying anything I could imagine the challenge of providing fresh tortilla chips. Instead, many of the ceviches and other cold items came with a small basket of segments of wood-fired tlayuda (thin, semi-brittle Oaxacan flatbead), which didn't immediately wow us, but proved its utility as both a scooping device and a palate-cleanser between courses (the staff happily refilled us with more tlayuda several times). As for the courses themselves, we tried three "Ice" dishes including the Leña ceviche (solid), the "Hiramasa" laminado (thinly sliced discs of yellowtail with manila mango and orange bits atop a pasilla/jamaica base), and the pineapple aguachile, which was the winner of the bunch. Grilled pineapple chunks layered with hazelnut salsa and goat cheese bathed in an orange lime broth that I was slurping up with a spoon afterward. We ordered a few side dishes; the butter-roasted plantains were luscious and the best I've ever had. Also tried the eggplant & shiitake side, as well as the kale & poblanos side -- neither of these wowed me but were nice accompaniments. Notably, rice is almost completely absent from the menu (again, the focus on wood-grilling everything). Overall, it was a highly enjoyable experience that I'd highly recommend. 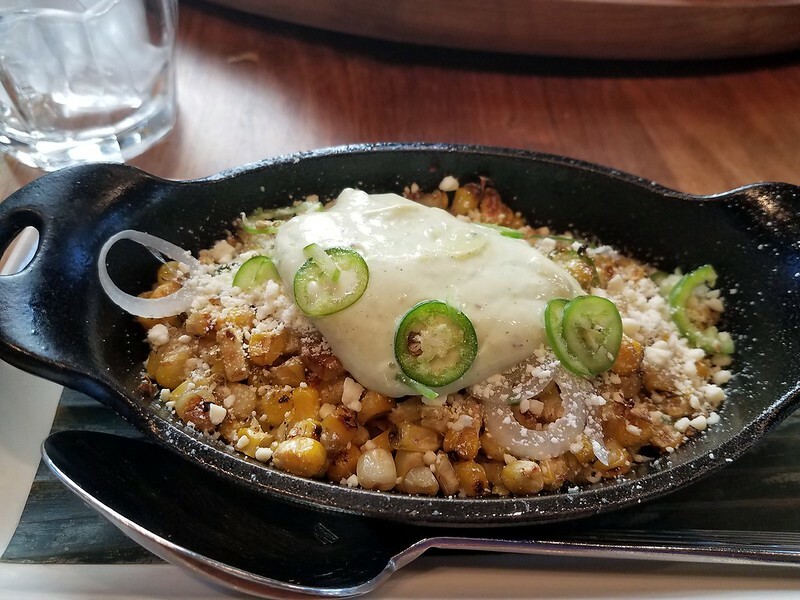 It didn't radically alter my conception of what Mexican food could be, and it may not revolutionize Mexican cuisine in Chicago, but it's definitely unique and the next step in a continuing evolution. We ate at Lena Brava this past Friday, after waiting about a month for our Open Table reservation to roll around. 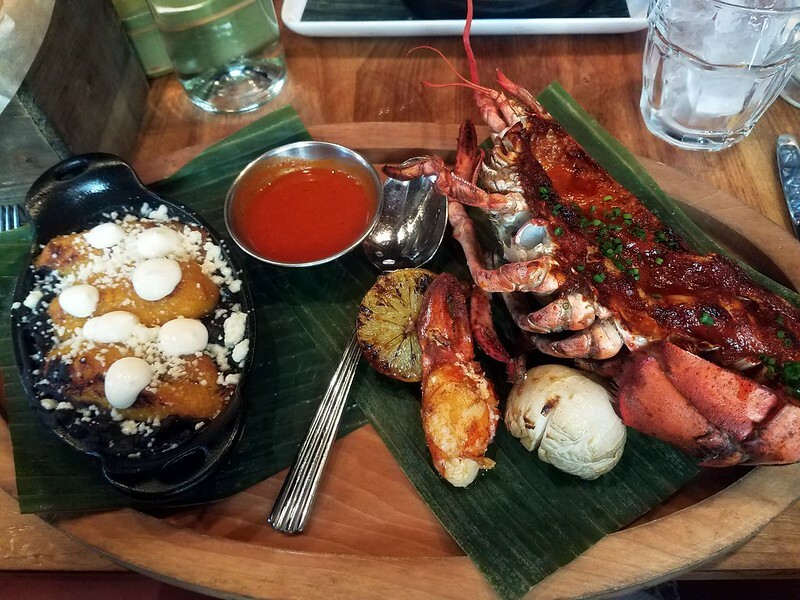 We were looking forward to a few things, and had our menu pretty well set before going: Two Aguachilies (the shrimp and the pineapple-goat cheese), the hiramasa Laminado, the Striped Bass for two, the Shrimp Albondigas, and the Caldo de Piedra (scallops in a corn broth). We were seated on the 2nd floor and immediately ordered drinks (the Lena Fire and the Monteromero). It took quite a while for the drinks to come out - we had plenty of time to discuss a drink ingredient we'd never heard of: sotol; discuss it with the waitress, discuss it with the bartender (who came over to give us some background), to order a shot of sotol and have it appear before us and to sip it - and finally our original drinks order appeared. The bar is small - it's the one shown on their web site, and may be the only one for the entire restaurant - so that may explain the wait. The drinks were delicious - most of the drinks on the cocktail list are based on mezcal, which I love, so that's fine with me. The sotol was also very good - reminiscent of a fine grappa, actually. It's a specialty of Chihuahua, made not from the agave (so it's not a tequila or a mezcal), but from the Desert Spoon plant. On to the food: both Aguachilies were very good, but the shrimp one was very, very good (my husband's favorite dish, as it turned out). The hiramasa Laminado was served with a gooey sauce based on Jamaica (hibiscus), and it overwhelmed the delicate taste of the fish. It tasted good, we just wished we could have had more fish flavor. The shrimp albondigas were good, just not as different as we'd hoped - kind of run of the mill flavors. I loved the Caldo, with its perfectly cooked chunks of scallops and roasted corn flavor. It was light, but flavorful. My husband liked it, but was less impressed. Then came the whole Striped Bass for two - we ordered it Oaxacan-style (one of four ways you can get it), and it was wonderful - we really cleaned the plate, and are already looking forward to seeing what the other preparations are like. Meanwhile, all this time, we were ordering drinks, and waiting for them to come out - turn-around at the bar seems to be a serious problem. 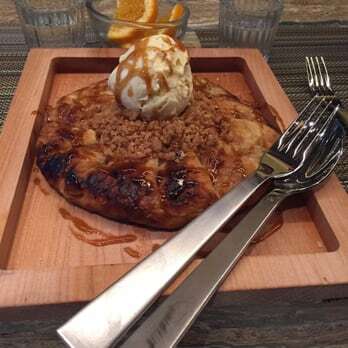 They were out of the Free-Form Wood Fired tart (we were there quite late), so we ordered the corn pudding, which was tasty, but we were disappointed not to get the tart. Maybe next time. Service was fairly attentive, given how busy they were, and everyone was very friendly. 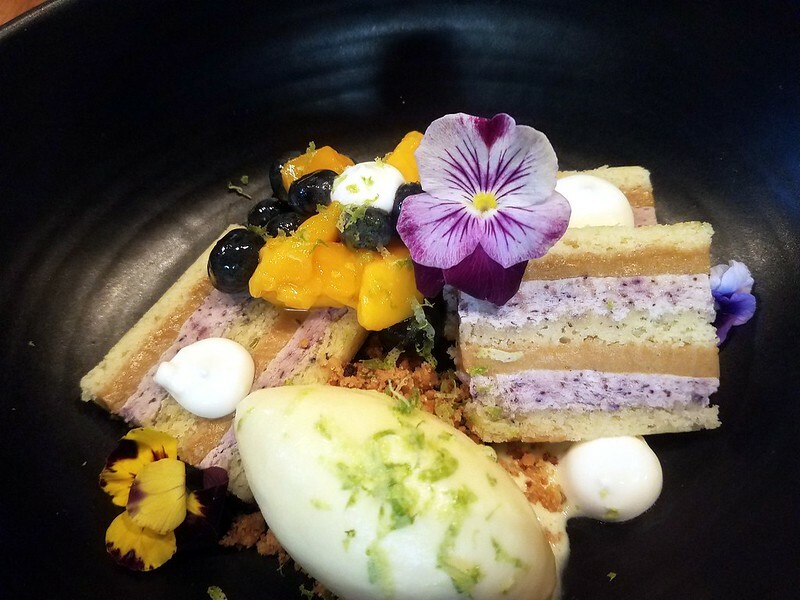 The main issues were one or two less-then-stellar dishes (though others may not have the same quibbles) and the glacial pace of booze service. Akatonbo wrote: It took quite a while for the drinks to come out - we had plenty of time to discuss a drink ingredient we'd never heard of: sotol; discuss it with the waitress, discuss it with the bartender (who came over to give us some background), to order a shot of sotol and have it appear before us and to sip it - and finally our original drinks order appeared. The bar is small - it's the one shown on their web site, and may be the only one for the entire restaurant - so that may explain the wait. The drinks were delicious - most of the drinks on the cocktail list are based on mezcal, which I love, so that's fine with me. The sotol was also very good - reminiscent of a fine grappa, actually. It's a specialty of Chihuahua, made not from the agave (so it's not a tequila or a mezcal), but from the Desert Spoon plant. I am a big fan of Sotol; it's currently my favorite Mexican liquor. My understanding is that the distillate made of desert varieties of dasylirion differs significantly from those made of mountain varieties. To me, everyone I've had has been much smoother, tastier, more herbal and interesting than any grappa I've ever had. Sotol is listed as an agave beverage on many menus, but as you say, it is not. Trigger warning: if you want to keep your taste buds in good shape, avoid eating the long yellow chili that's featured on all the tacos at Cruz Blanca. I made the mistake of taking a big bite. I shoulda known better. Trigger warning: if you want to keep your taste buds in good shape, avoid eating the long yellow chili that's featured on all the tacos. I made the mistake of taking a big bite. I shoulda known better. They have a website, too. Click here. David Hammond wrote: Trigger warning: if you want to keep your taste buds in good shape, avoid eating the long yellow chili that's featured on all the tacos at Cruz Blanca. I made the mistake of taking a big bite. I shoulda known better. I only tried one beer, the Salerosa dry-hopped Gose. Gose is one of my favorite styles, for its sessionability and complex flavor profile. Gose is supposed to have a distinct salt tang, but this one's saltiness was over the top. It was lightly soured, which was good, but the choice of Chinook hops for dry-hopping seemed strange, at best. (Chinook is usually a bittering hop, and I'm not the first person to describe its aroma as "cat-piss.") It's certainly not a choice that the original Gose brewers in Leipzig would have made. I probably should have tried another beer or two to be fair (it might have been a one-off aberration), but we had a show to attend down the street, and conversation at Cruz Blanca, at least last night, would only be possible for someone used to having casual discussions within two or three feet of a jackhammer at full power. With so many breweries in town these days, Cruz Blanca, despite its Bayless pedigree, won't be at the top of the list for breweries to re-visit soon. I do agree that sotol is way more interesting than grappa, from the nose to the finish. I drew the analogy to grappa as a quick way to give people an impression of what sotol is like (ie: not at all like tequila, or mezcal - of course, I'm basing that impression on a single pour of one brand). Even Lena Brava has their sotol listed under "Mezcals." I think they must feel that the vast majority of people won't know the difference, but I think it's a policy that will just sow confusion. We went to Lena Brava for my wife's birthday yesterday. First, hats off to the crew for going out of their way for us. From big (a great table) to small (a nice birthday card), the service was impeccable, but in an unexpected, understated, and truly kind sort of way. Although we needed help parsing the cold side of the menu, everything else about the food was very good to excellent. Be sure to order the verde ceviche and the walleye pike in adobo. And, maybe it's confirmation bias, but the heirloom corn tortillas were some of the best we'd ever had. Soft, pliable, and full of flavor. Only one dish I wouldn't order again: the "roll," which needed both more salt and less sesame in the dipping sauce. In other words, Bayless runs a pretty tight ship. Any recent experiences here? Must order dishes? Heading here for dinner soon and want to maximize deliciousness on a kid free night. I had a remarkable meal here a few weeks ago during an all too short trip to Chicago. I was very pleased with their raw fish preparations, and impressed with a scallops with mole manchamanteles (a green-ish mole with pineapple) and a smoked beef short rib (massive) with handmade tortillas and salsa. We also had a special of chiles en nogada which was outstanding. My view is that this is the best of the Bayless places right now, and one of my favorite fine dining destinations in Chicago. My fiance and I live in NYC, and when we visited I wanted to take her somewhere that was uniquely Chicago and that was hard to find elsewhere. This type of food - upscale, carefully prepared regional Mexican - fits the bill. Chicago is very lucky to have places like this (and Mi Tocaya, and Birrieria Zaragoza, etc.) because they simply don't exist in many other cities, especially NYC. Thanks for the report! I’ll report back. dagrassroots wrote: Any recent experiences here? Must order dishes? We went on our trip to Chicago earlier in the summer. I am a Bayless fan and was excited to try it finally after a handful of friends, whose opinions I trust, told me it was pretty good. We got the "tasting menu" of Baja (or whatever it was called). Was not really impressed with the flavors at all. A lot seemed to get lost in the mix - our meals at other West Loop places during the trip were much better. I am hoping it's not usually like what we had as I really want the place to be good. Our recent visit had us sitting at bar,a favorite. Unfortunately, it was a disgusting disaster. It had not been cleaned in a longtime. We left after 5 mins. I'll still revisit and know that everyone can have a day off, however our visit was scary gross.